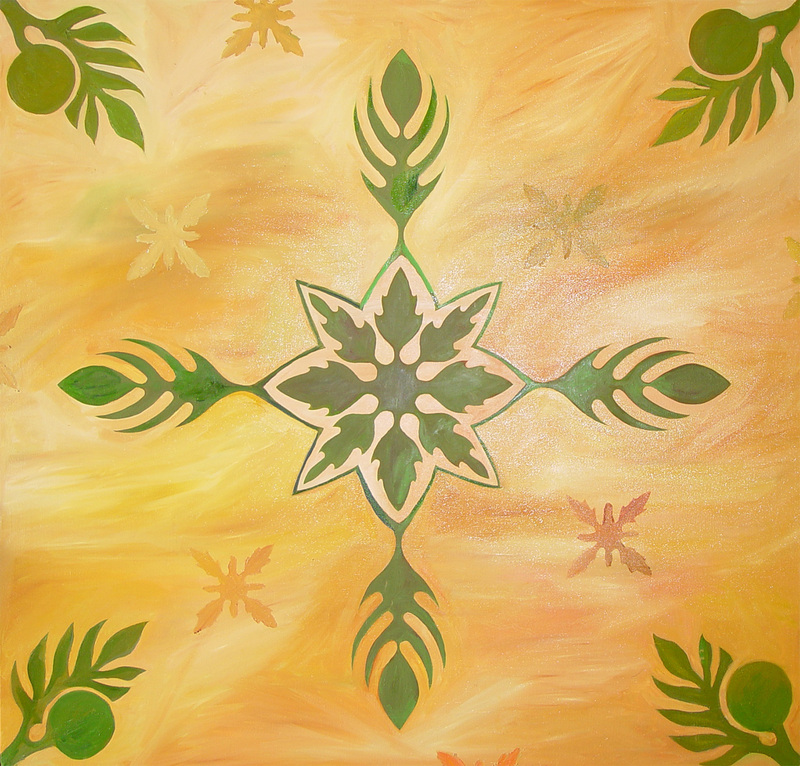 The Hawaiian quilt painting is composed of Ulu (breadfruit) designs which is used often for these print patterns. the symmetry of the pattern is broken by the smaller loosely painted ulu designs. The saturated green references the color of leaves seen on an Ulu tree.